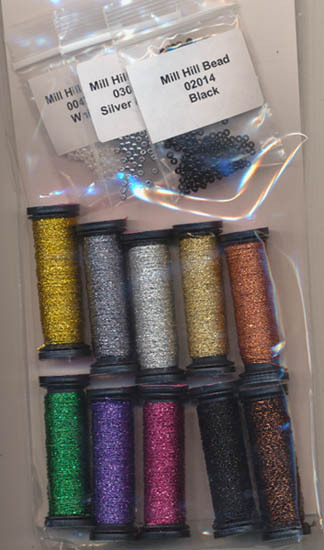 Specialty fibers and beads needed to complete GP-197 Snowmen Ala Round Full spools of Kreinik #4 Very Fine Braid. However, Mill Hill Beads have been pre-counted to give you more than enough of each color needed to complete the design. .
30 points will be rewarded to you when you buy this item. You must be a registered customer to receive points.